VANCORVID is the innovative brainchild of Sharon Courtney, a classically trained musician and vocalist originally from Dublin, Ireland. 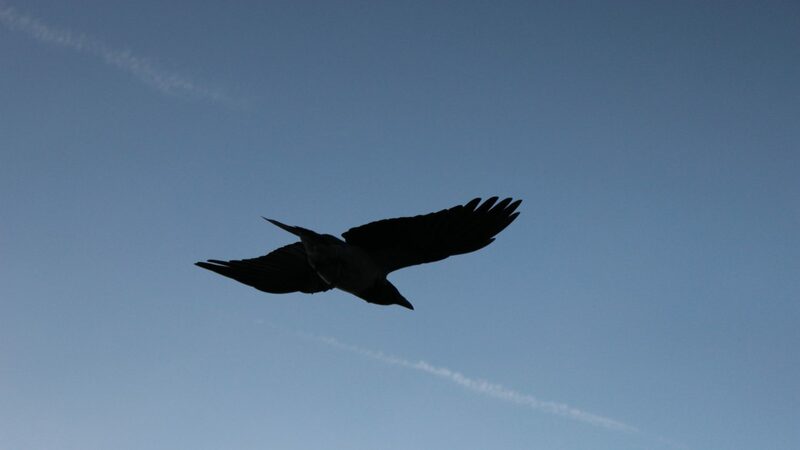 As a name and a concept, VANCORVID speaks to multiple ideas. Corvid is a genus that includes multiple passerine birds – crows, jays, choughs, to name a few. Crows are multifaceted symbols. They are messengers, tricksters, playful and intelligent. They are communicators above all, and fly directly in a world that is indirect. They are associated with the unknown, death, memory, and family. Sharon began studying classical music at the age of 8, and has been performing professionally since she was 14. She attended the Royal Irish Academy of Music for over 10 years, at one point on partial scholarship, achieving her Stage 12 Honours Violin and Stage 8 Honours Musicianship. Sharon’s studies took her from Dublin to Milan, where she flourished under the guidance of such internationally renowned artists as Sandra Petcu, Eyal Kless, Dominika Falger and Fulvio Luciani. Performance opportunities took her across the EU and beyond, including Germany, Belgium, France, Hungary, and the Czech Republic. Though classically trained, she became drawn towards more contemporary music as her exploration into different genres expanded during her travels. She increased her involvement in the dynamic range of themes and styles of the international music scene, including indie, folk, punk and rock. Sharon performed live in Dublin with Amanda Palmer and the Grand Theft Orchestra. While in Dublin, Sharon performed and recorded with Stu Daly, Chewing on Tinfoil, Naoise Roo, Sive and Emma O’Reilly, as well as multiple orchestras. After moving to Toronto, Canada, Sharon took her creative endeavours to the next level, and began working on her own compositions under the tutelage of Jason Nett and Howard Goldbach. Her eclectic style combines her classical background with elements of electro, gothic and baroque. She has developed a sound that takes unconventional combinations of instruments, spoken word and ambient noise, and turns them into hauntingly beautiful and stirring harmonies. Her work is strongly influenced by the mysticism, Celtic mythology and science fiction. Her work layers a multitude of melodic elements into hypnotic harmonies that draw the listener into a fantastical world of symphonic diversity. Recent collaborations include Precious Child – a remix of Summon, and features on releases by ATTRITION and Subterranea. Sharon is based in downtown Toronto and frequently plays with Doesn’t Matter, Subterranea, Summerhill Orchestra and the Greater Toronto Philharmonic Orchestra.